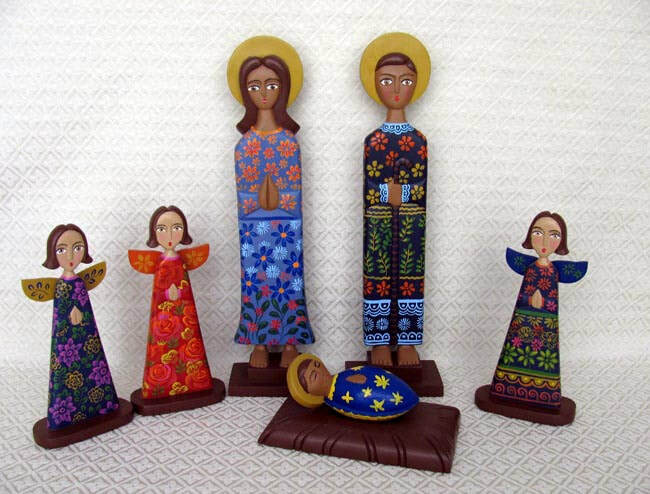 This Nativity scene includes a tall Holy Family dressed in blue. The Family is joined by three female angels. The Joseph figure stands 15 inches tall.